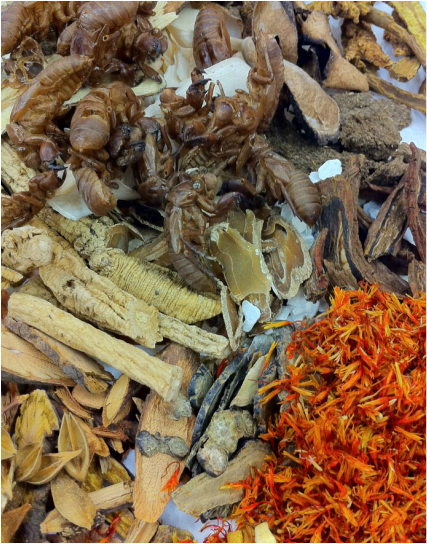 Modern science has begun, increasingly, to return full circle to the origins of medicine - whether Jamu, TCM, Ayurveda or pharmacognosy; many of the answers we seek are to be found (or, at least, sourced from) the natural world. Although many medicines, from aspirin to digitalin to insulin, marijuana, vincristine and penicillin, have their origins in the natural world, there are no "instant remedies" or "cure alls". Nonetheless, there are many compounds that have some pretty profound and amazing effects. After all, codeine usually works quite effectively! Traditional systems, however, work not to merely treat a symptom or single condition, but to examine the whole. This "holistic" approach is an attempt to heal the cause, not merely provide relief or prophylaxis. So, what is our purpose here? Hopefully, to act as a gateway - one of many possible paths upon which visitors can seek information, debate or, perhaps, find a solution or idea to try. What this is not, is a medical forum. We are not your doctor and we do not purport to provide anyone with any diagnosis or recommendation of treatment. That is up to you and your practitioner to decide. We do not, therefore, accept any liability for the information provided here or for any consequences whether you choose to heed it or to ignore it. Our efforts here, and in the pages that follow, are to be taken as discourse, conjecture, brainstorming, reporting, lay-opinion-making and sharing, even; but not as statement of fact nor as any form of qualified opinion, diagnosis, prognosis, or prescription. Agreeing that between us - read on! More on "Privacy and stuff"